Commander: Hmm, that's good to hear. Nosey Nella Parkas: You should look at Hoshi, its much bigger. Commander: Don't they keep things simple around here? A little too much detail. Looks like a normal marketplace to me. prices are better to keep that computer updated than not. Cronis: Its a marketplace what do you expect. Commander: Which vendor should we try? Commander: Maybe we should talk to that guard over there. Storm: Try the Guard standing over by that store. Loana: With the lousy amount of credits we're getting I don't think that's going to be a problem. Melchak Guard #1: Huh, what are you people doing here. This is a droid only city. Storm: How did this guy know we received lousy exchange rates. How come you're not a droid then if this is only a droid city? Melchak Guard #1: Because we let the droids run the city. Everybody who visits Melchak who is not from the Homeworld gets lousy exchange rates and has to buy the special window shield. Its one of our customs here. No hard feelings. Huh. Commander: Customs. What. You mean we didn't have to really buy that window shield for the ship? Melchak Guard #1: No, you did have to buy that, otherwise you would not be able to get through the window into our homeworld. If you tried to get your ship through the window, which is not a Melchak Vessel it would be shorn to pieces and be destroyed without the device. the ship with that device. any trade deals with your world. went on a hunting expedition to Telos to look for that Big ugly Resentment Creature in the desert over there. Melchak Guard #1: It's nothing personal-I think its small compared to some places I been to. I think its good hunting grounds. But I didn't like those steel birds known as Flurries. Loana: Hes been to Telos alright. We all know about the Flurries, those vicious little things. we could never tame them. Melchak Guard #1: Of course I been to Telos, I Visit there sometimes when I'm not on duty. Loana: They never were normal birds. Commander: So what's the assignment if you don't mind me asking. Melchak Guard #1: That's for me to know and for you to not ask me about. Commander: Oh, one of those assignments. Melchak Guard #2: What's all the commotion over here Stram. What are you doing with these people. Why are you not watching your post. The council didn't assign you to just chat to people. Melchak Guard #1: Just some outwolders visiting the homeworld Galas. I will return back to my post shortly. There's nobody trying to break through security right now. Melchak Guard #2: Oh, just the usual visitors then. Ok well don't cause any trouble here on Melchak ok. Commander: What makes you think we are going to cause trouble. We're friendly, we come in peace. Storm: Well at least my name gets around on this world. I must be pretty popular. Melchak Guard #2: Listen Transk. We don't want any trouble or chaos here down on the Homeworld. We just got out of the last war and we don't need you to start another. If you agree to do no trouble here then we will let you remain, otherwise we will send you straight off the homeworld into the nearest shuttle. And you are? Melchak Guard: I heard a rumor that Tesseract Prime was destroyed. Is that true? 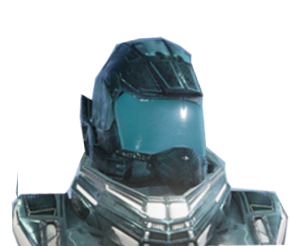 Commander: Axle, Marston Axle, Commander of the Ship Nc7 Presidium. We're not hostile. Storm: Yikes, hey that's a little strong don't you think. Don't worry, I'm not here to cause you guys any trouble, as long as you guys don't cause me any trouble. Melchak Guard #1: Well make sure you keep your weapons in their holsters when you're on the Homeworld or there will be trouble. Melchak Guard #2: No, wouldn't dream of it. Well that's good to hear. Just keep your noses clean and we will get along just fine. Well I'm returning back to my post now. I'll let you take care of things and show our new visitors around. Melchak Guard #1: You worry too much. So, Commander, what are you doing here on Melchak? Loana: Looking around to see what potential trade deals we can make between our worlds. I am one of the representatives of the Vinus Council. My Father is the council leader. Commander Urrm, excuse me Loana He was talking to me. Just Exploring new worlds, making First Contact you know, the usual stuff. Melchak Guard #1: Vinus, no not heard of that world, not off the top of my memory. What is it, some kind of new virus? Loana: It's VINUS. Not virus. Why do some people think my world is associated with a virus. Melchak Guard #1: Sorry, I guess the words are familiar. Gee lighten up a little. Loana: Fine. Just learn to get the associations of my world right. We do not have viruses on our world. Melchak Guard #3: Oh hello people what are you doing here. I couldn't help but overhear the conversation. So you come from Vinus. Melchak Guard #3: Ahh yes I remember, that's the planet with The City with all the millions of dirty rats. So, when are you going to get rid of them. The council was supposed to have a plan. Loana: Uh well, the council is still working on that. Melchak Guard #3: Good, the next time I and my family decide to visit your world, I hope they get rid of every single rat that's in that city. Otherwise we will not come back for our next holidays. Loana: That is a council matter that is already being looked into. Melchak Guard #3: Very well then. I will leave now, I got things to do. I gotta renew that new security pass again. Drat, Headquarters messed up the dates again on giving the passes. So mines expired again. Melchak Guard #1: Expired again, gee, it was just last week it happened. That machine at headquarters has been malfunctioning ever since for a while now. I hope it eventually gets seen to. We can't have faulty security passes expiring before their dates..
Melchak Guard #3: You know how it is on our world that once a machine breaks down, there's a slim chance that its going to get repaired. You should go down to the south end of the city Commander where we pile up all the broken machines. Storm: What, you mean you turned half of your city into a scrap yard, great. There might be something useful there. We should take a look commander. Melchak Guard #3: I'm sure you might find something of use, there is a scrap vendor down there who owns the junkpiles. Oh, just a word of warning. Watch out for the Melchak Eater that sometimes wander around down there when the junk owner is not around. Well I gotta go back to my post now. it was nice talking to you people. Commander: Melchak Eater, what is that exactly. Melchak Guard #3: Just the Junkman's pet. You'll know all about it when you see scrap pieces flying. Commander: Ooer, thanks for the warning. Now I'm intrigued. Talk to Melchak Guard #2 standing by the corner.